Roche COBAS TaqMan 96 Automated Real-Time PCR Amplification Detector Analyzer . New Life Scientific, Inc. 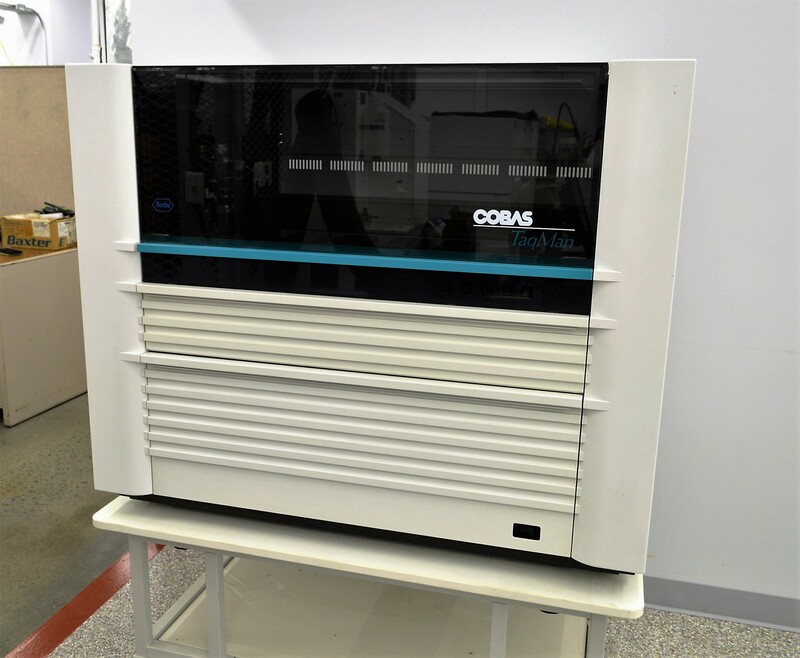 The Roche Cobas Taqman is an automated 96-sample assay amplification and detection analyzer. This instrument offers real-time PCR analysis for DNA and RNA samples in one closed system. The Taqman runs a three hour cycle with minimal specimen handling, and communicates with Amplilink software (not included) for data analysis and uploading results to the LIS.